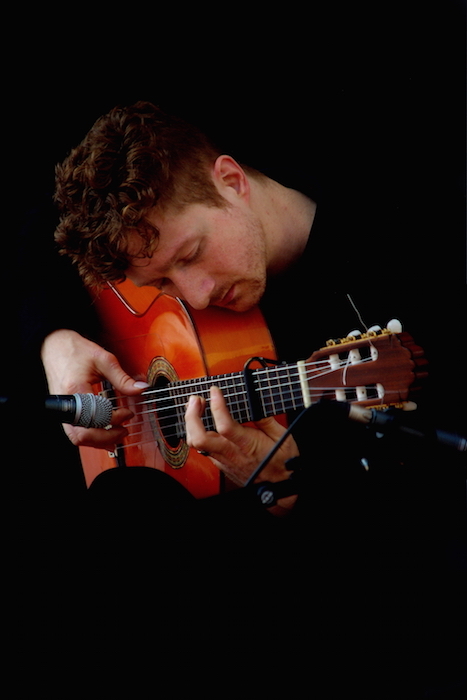 Gareth Owen blends the traditions of Flamenco guitar with his own aggressively passionate style. A talented guitarist from Canada’s West Coast, he is one of the privileged few North Americans born into the world of Flamenco. As the son of top Flamenco guitarist, the late Harry Owen, and nationally acclaimed dancer, Veronica Maguire, Gareth plays with instinct and raw intensity that comes from truly having the music in his blood. From an early age he has been immersed in the rhythms of Flamenco, performing professionally alongside his family and the Alma de España Flamenco Dance Company. Gareth is constantly pushing himself to the very edge of his music and, within the compás, redefining that edge. This entry was posted in News and tagged flamenco, Gareth owen, guitar on March 4, 2015 . Permalink.